When its time to pull your Jeep behind your truck or motor home and need a reliable tool, look for the all new Smittybilt Tow Bar Kit which features a 5,000 pound capacity that fits any standard 2" ball. 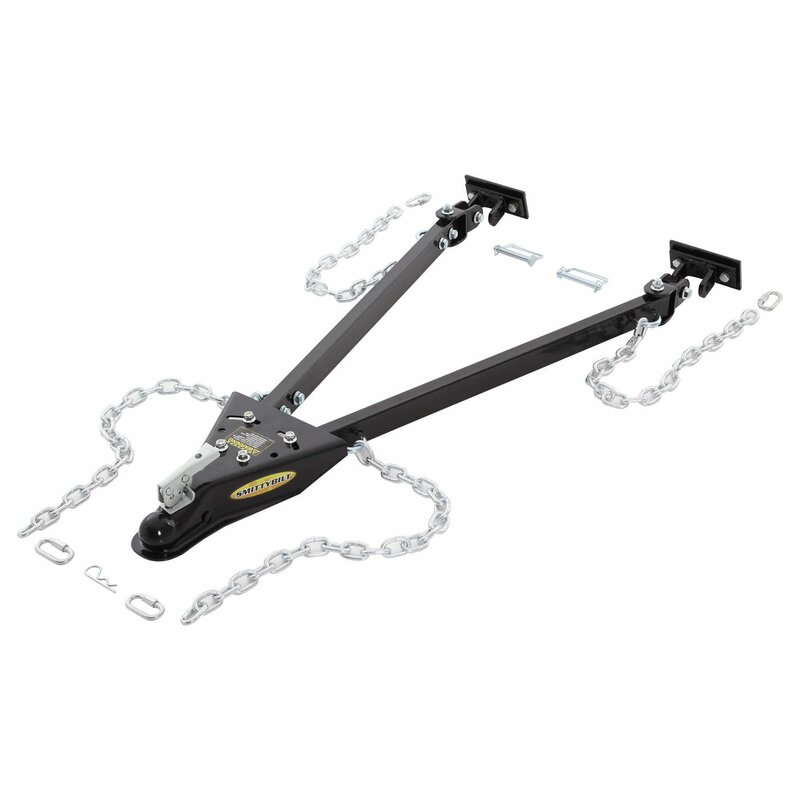 Adjustable from 24" to 34" and includes vehicle safety chains. Not the most advanced tow bar but works fine. Good quality. Had to get the adapter for the Gen2 bumpers. Some of the parts were a little big and wouldn't fit. Needed to file down to hammer into place. Didn't like to force things but needed to tow the Jeep on our first trip trailering it from an RV. Worked well and easy on and off. How wide can this go? My bumper has d-ring brackets at 34". This adjusts from 24-34" wide.